" Are you a bucket filler or a bucket dipper?" The students and teachers at Lowell Elementary are bucket fillers! Every classroom has a bucket outside the door for staff members, along with a big bucket in each classroom for all of the students in the class. These buckets are to let people know they are cared about, and their hard work doesn't go unnoticed. Walking down the hall, you will randomly see students and staff putting sweet notes in each others buckets. Being kind to others is being a bucket filler, following the rules, helping where needed, saying "good morning" to a friend. All of these things are bucket fillers.This idea was derived from the book "Have You Filled a Bucket Today?" by Carol McCloud. Lowell staff loves to see students continue to do these things even after they've left school! There have even been some Facebook posts reported of moms commenting how awesome it is to see this project influencing their children's lives outside the classroom! "Sarah VenJohn wrote "I've been working with Bryce on where to place his book bag when he gets home. Today he actually did it so I said Bryce thank you so much for putting your book bag where it belongs. He shrugs and says well I am a bucket filler, I fill lots of people's buckets. I'm not a bucket dipper." In conjunction with the Kansas Dept. of Commerce and community partnership with Rubbermaid, Winfield Middle School students will be participating in KC BOTS- robots destroying their opponents in the octagon of doom. Students will be receiving a kit and attend course work during and outside the school day. Teams attended a Kick Off on September 16 at Olathe Northwest High School: The basics of the competition were covered along with safety, design process, and documentation. New teams received their bots, had time to play with and ask questions about them. After the beginning presentations, teams were able to examine old bots during breakout sessions and treated to pizza to top off their introductory day. "I'm very excited for our students to have the opportunity to not only create and compete against other Battle Bots, but to partner with Rubbermaid on this adventure." stated WMS Principal Dave Hammer. Students will work with Rubbermaid staff in team meetings and visit the facility. Competition will be April 8th in Kansas City. “Way to go Whittier! It was so awesome to see our little ones feel special in a parade honoring them!” commented, Kindergarten parent Amanda Mah. The event really was exciting and a bit sad to see them already beginning to grow into their Kindergarten shoes! 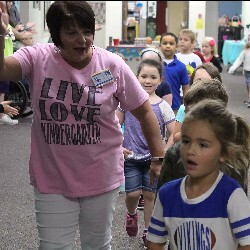 Whittier Elementary hosted their first annual inaugural “Boo-Hoo, Yahoo” parade and breakfast for kindergarteners and their parents on Monday, September 18. 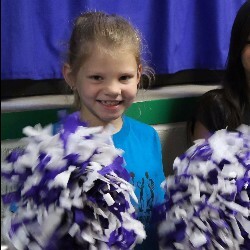 The parade was held inside the building, the halls were lined with all other students along with parents holding welcome to Whittier signs, cheering with pom poms, and high-fiving the kindergarteners during their parade. After the parade, all parents of Whittier kindergarten students were invited to a light breakfast reception. 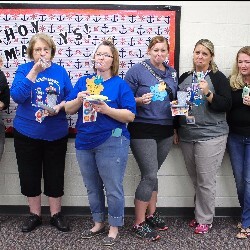 Along with breakfast, parents were offered a Boo-Hoo gift (Kleenex) or a Yahoo gift (party hat and horns). Gift options were determined if parents were sad their child is now in school or relieved/happy their child is now in school. "I'm glad the summer's through"
Winfield High School Student Council was excited to host the StuCo Regional Conference on Wednesday, Sept 20. Over 400 students from area middle and high schools were in attendance. Special guests were David Cherry, the Assistant Executive Director of KSHSAA and Adrienne Rosel Bulinski, speaker, author and Miss Kansas, 2005. Winfield High School was proud to show of the Orchestra, under the direction of Robbie Banks - celebrating 130 years this spring. The Orchestra opened the conference. "This was such a great experience for our kids," stated StuCo sponsor Kris T rimmer. "The WHS StuCo students did much of the planning and setting up for the conference." While students waited for the conference to begin, they participated in interactive games and line dancing. The conference began at 9:00 am in the high school auditorium and continued to noon. 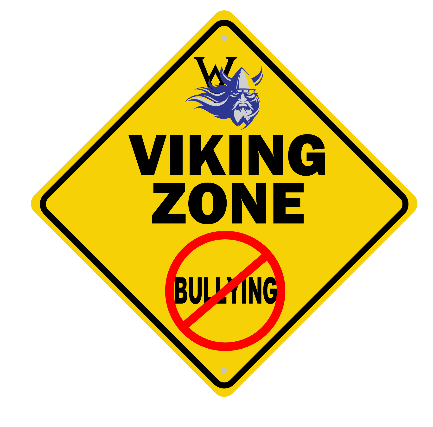 Winfield schools are participating in Anti-Bullying activities during the week of October 2nd-6th. All elementary schools have curriculum in place to teach students how to recognize bullying and ways to handle bullying if it occurs as well as character building. Second Step and Steps to Respect curriculum is taught weekly in the elementary schools and has been for several years. In order to bring attention to an important subject, elementary schools have created special days this week. Students will be enjoying Blue Out Days and asked to wear blue to show their support; H.E.R.O. Day (Help Everyone Respect Others) and dress as their favorite Super Hero or Heroine. One school is encouraging students to “Rock It Out and Stand Together” and dress like your favorite rock star. Students will be giving tips over the intercom on how to handle and recognize bullying. Teachers have also created their own lessons for additional classroom discussions on bullying, its effects and prevention. “Bringing an element of “fun” to a serious subject really helps engage the students in understanding and recognizing bullying and how it can affect everyone”, stated Whittier Elementary Principal, Marcia McIntire. USD 465 is a No Tolerance district in regards to bullying and has recently updated their Respect Initiative. The Initiative can be found on the district's website at usd465.com by following these steps: select Community tab, then select ‘Respect Initiative’ under the Board of Education column. 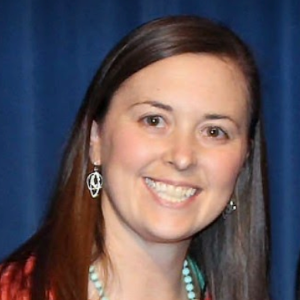 TOPEKA — Megan E. Nagel, a sixth-grade English language arts and science teacher at Santa Fe 5/6 Center in Newton (Newton Unified School District 373), and Sarah C. VenJohn, a high school mathematics teacher at Winfield High School (Winfield USD 465), were named Region 4 finalists for the 2018 Kansas Teacher of the Year award during a ceremony Saturday, Sept. 9, in Wichita. This award recognizes excellent teaching in the elementary and secondary classrooms of the state. As finalists for the Kansas Teacher of the Year distinction, Nagel and VenJohn each received a $2,000 cash award from Security Benefit, the major corporate partner for the Kansas Teacher of the Year program. In addition, they are each now eligible to be named Kansas Teacher of the Year, which will be announced during ceremonies in Wichita on Nov. 18. Nagel and VenJohn were among six Teacher of the Year semifinalists from Region 4, which covers the fourth U.S. congressional district. Other semifinalists were Marlys I. Gwaltney, an elementary physical education teacher at Bentley Primary School (Halstead USD 440); Catherine “Cathy” L. Boote, a kindergarten teacher at Christa McAuliffe Academy in Wichita (Wichita USD 259); Andrea M. Burnett, a sixth-grade English language arts teacher at Maize South Middle School in Wichita (Maize USD 266); and Thomas “Tom” J. Zerr, a middle school science, technology, engineering and mathematics (STEM) teacher at Augusta Middle School (Augusta USD 402). Each of the semifinalists received a red marble apple with a wooden base, compliments of The Master Teacher in Manhattan. This year, 111 educators across the state were nominated for the Kansas Teacher of the Year distinction. Tomorrow, Wednesday, October 4, is National Walk to School Day. Over 2900 schools across the United States will participate this year. All of Winfield Elementary schools and Winfield Middle School will participate and and have invited parents, community members, police officers, and firefighters to join. Country View will be participating by walking 1/2 mile South from Country View School on Cowley 1 to Hwy 160 and then turning around and walking back to the school. Country View's walk will begin just after 8 a.m.
Irving Elementary will meet at the Winfield Recreation Commission at 7:15 a.m. and walk to Irving. Lowell will be meeting at the First United Methodist Church parking lot at 7:15 and begin walking to Lowell. Whittier students can meet at one of the following three locations at 7:15 a.m. to walk to Whittier. Cherry Street Park, Winfield Recreation Commission, or Winfield District Office. Whittier will have staff at each location to walk with students. Winfield Middle School will meet at 7:00 a.m. at the Dollar General parking lot on east 9th to begin walking to the Middle School by 7:15 a.m.
On November 19 Whittier took their display a step further and celebrated leaders at their first Leadership Assembly!! The assembly began with the flag salute lead by two leaders. Following the salute Dave Hammer, Winfield Middle School Principal, talked to the crowd about the qualities of a leader. Leaders were selected by nominations from teachers. Nominees were students who exhibited not only leadership qualities, but also specific character traits. At the assembly the students received a certificate and a picture of themselves with text that described their best qualities. As a surprise, every single one of the 14 nominees had family members attend. The Kansas Association of Secondary Principals (KASSP) recently recognized David Hammer, Winfield Middle School, as the KASSP Area IV Middle Level Principal of the Year honoree. KASSP is an organization of over 375 secondary school principals from across the State of Kansas. Hammer was nominated and selected by peer principals. Candidates are evaluated on their school leadership, school improvement, dedication, professionalism, and service to students. Employed by the Winfield school district to teach 6th grade in 1992, Hammer has been a Winfield principal since August 2000 and was named Winfield Middle School principal in 2015. Prior to his current position, Hammer was the Winfield Intermediate School principal and Country View Elementary School principal. Winfield Middle School staff and students conspired together to celebrate with Hammer during an early morning assembly. Hammer was expecting to walk into the gymnasium to break up a fight, but walked into a gymnasium of congratulations applause and cheers instead. Students from Winfield High School and Middle School were introduced to several in-demand career paths during the week of January 22. The students were able to participate in a learning lab brought free of charge by Wichita Area Technical College. The Future Maker Mobile Learning Lab, made from a 34-foot enclosed trailer, allowed students to have hands-on and interactive learning experiences in various technical fields, such as welding, automotive and aircraft painting. Students used equipment such as a virtual welder to simulate metal repairs, a virtual painter to get a sense for Aviation/automotive coatings careers. The lab also carries ten zSpace 3D computers which provided students a virtual reality learning experience. “The mobile STEM lab gave students a snapshot of future jobs growing in our area.” stated WHS counselor, Stephanie Sitsler. The mobile lab is designed to use technology to expose students to high demand careers related to science, technology, engineering and math. Career exploration is an integral part of student’s individual plans of study at Winfield High School and Middle School. In conjunction with Healthy Heart Month, USD 465 and Winfield High School (WHS) is pleased to announce they will offer the American Heart Association "CPR in Schools" program this month. 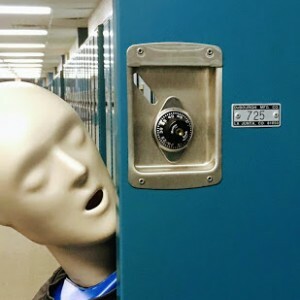 The Junior Class at WHS will receive the "hands-only CPR" training. Training classes for students will be held on February 14 and 15. According to the American Heart Association, the "goal is very simple - to save lives, and to empower Kansas high school students to be lifesavers by giving them the skills and confidence needed to help during a cardiac emergency". 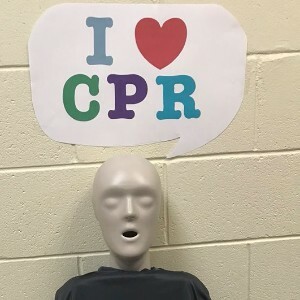 "Bringing awareness about CPR and the idea of hands-only CPR – just starting compressions – will benefit both our students and our community," stated school nurse, Lorri Greenlee. USD 465 has partnered with the Winfield Community CPR Project, #HeartSafeWinfield. Members from this initiative will be assisting with the training at WHS. The Kansas State Board of Education approved the addition of CPR training to the Kansas Health Education Standards beginning with the 2018-2019 school year. As an ongoing partnership through General Electric (GE) Strother and USD 465, 16 Winfield High School (WHS) Students were trained in Occupational Safety and Health Administration (OSHA) throughout the course of this past school year. GE offered the program to the school district and students free of charge. Lead trainers, Lance Hofmann and Joelle Moman, along with other GE volunteers began training in November. Training was tailored to meet the needs of WHS students, including relevant safety topics and followed a strict set guidelines and content. WHS teacher, Justin Hogan, was essential in the project as the liaison between USD 465 and GE, providing the appropriate needs to the classroom. All 16 students became OSHA certified in April. USD 465 is thankful for the partnership with GE and looks forward to continued collaboration in the fall. The Winfield Middle School Robotics team competed in the National Robotics League National Championship in California, Pennsylvania on May 18-19. The middle school had three teams compete in the regional tournament at Olathe Northwest High School in April. The Kansas Department of Commerce provided a grant to support this program for two years and Rubbermaid provided their Industry support. One of the three teams, driving a robot named Athanasios (a greek god of immortality), went undefeated to take the field of 28 teams at the regional event in April and were invited to Nationals. The team was composed of Justin Smith (Driver), Mark Thompson (Mechanic), Corden Fullhart (Mechanic) and Braden Dillon (Mechanic) along with Christy Reams (Instructor), Kait Pressnall (Vice Principal) and with Rubbermaid-Technical advisors Brad Kimmell and Jeff Wilson. The Winfield team was the youngest team in the field of competitors. The National event brought 70 teams together at California University in California, Pennsylvania. High Schools and Universities were represented in the field. The Winfield team was prepped, ready and passed their safety checks on Friday during check in. The fighting format allows for a 3 minute battle unless one of the robots can no longer move. Judges decide who wins based on aggression, control and damage if there is not a knockout. In team Athanasios’ first bout, they faced a High school team from Ohio driving Andromeda. The opposing robot delivered a massive blow immediately flipping the Winfield robot. The Winfield robot was still able to move and activate their weapon. Andromeda lost some critical wiring contacts when they delivered the blow causing them to be unable to move. This turned into a knockout for the Winfield team. During the second bout they faced last year’s champion robot, Eli. This did not go well for Winfield. Eli delivered another massive blow and was able to get the win. Anathosios was now beginning to show some serious damage. The third bout was in the consolation bracket. They faced a community college team driving, Torxus. Their coach told Wilson, “He was going to give his team a lot of grief if they lost to the middle school,” unfortunately for them this came true and Winfield got the win. Athanasios took on high school bot, Booker T, during the fourth bout. The Winfield robot continued to degrade from the battles, with only one drive wheel, Smith was still able to continue to outdrive the competition and get the win. The fifth and final bout against Punxsutawney area High School was a spectacular finish for the Winfield teams run at Nationals. The opposing robot delivered a massive blow that split the out shell of the Anthanasios’ and knocked the battery out. The team learned a great deal about and repairing their robot and working as a team. Other than a few minutes of fighting, the time spent at Nationals was spent straightening, replacing parts, repairing threaded holes, and getting the assembly to work correctly. “The group of kids involved are likely future Scientists and Engineers,” concluded, Jeff Wilson. “They were able to apply practical skills within this program and the program has been a great success.